It’s the 1st of December, eek! How did that happen? This year has flown by and it’s time to start thinking about Christmas, and for a lot of us that also means planning our Christmas party outfits. It might be that you have a few parties to go to, maybe just a meal with friends, or you just want to make that extra effort on Christmas day itself. 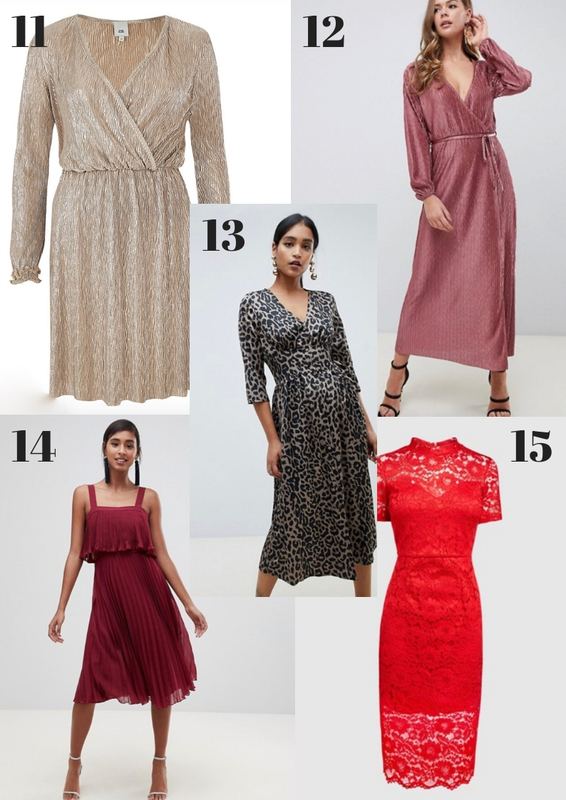 Whatever your reason, I’ve put together a list of 15 gorgeous dresses that are perfect for the festive season. There are so many beautiful dresses around at the moment, it certainly was a challenge to narrow it down to just 15. I’ve tried to choose a wide variety of dress to suit different styles and budgets. They range from £16 right up to £99. 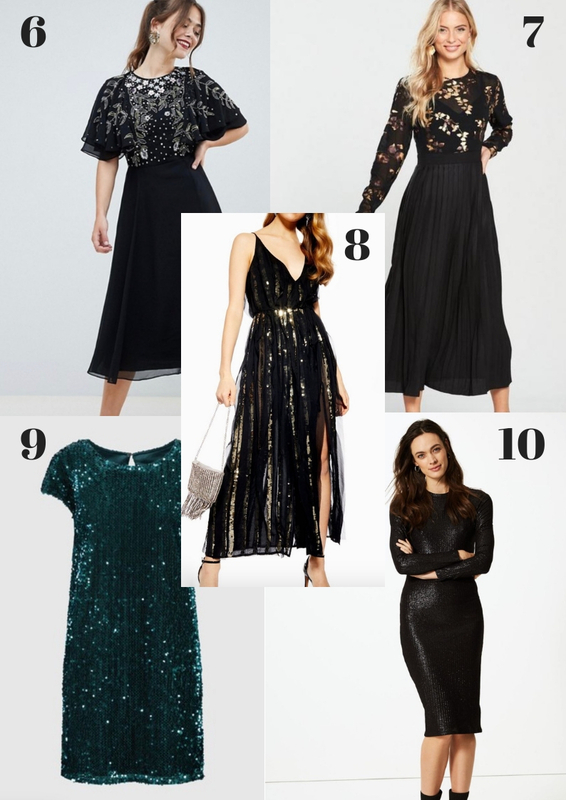 And whether you’re wanting to go all out with sequins and embellishments or keep it simple, I hope that this post gives you some inspiration. 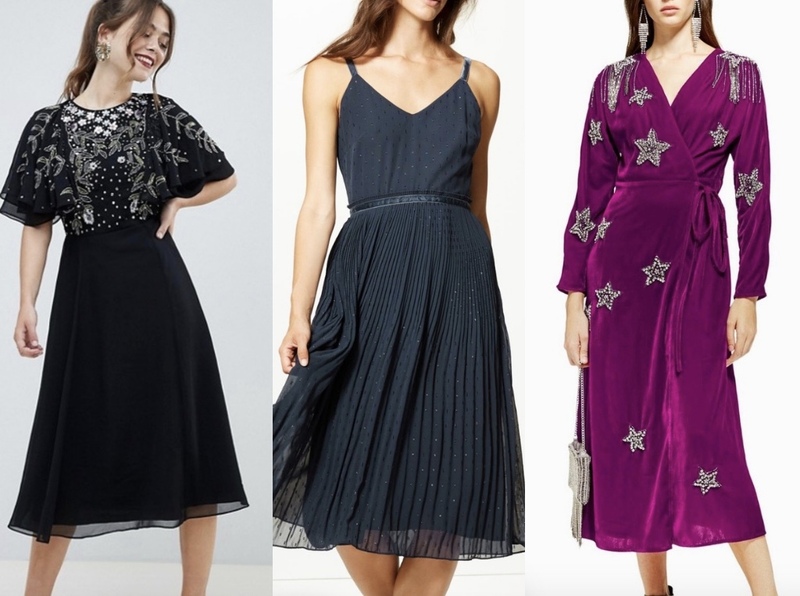 Please note that all of these dresses were in stock in most sizes at the time of writing this post. However, some are trending products or low stock so may sell out quickly. I think 5 and 7 are my faves. So pretty!